It’s been 20 days since 10 year old Sadie’s first post on SSD, and her shelter told us she’s still there. I think it’s time Sadie’s forever home came and found her. She needs to be out of the shelter and she’s just such a sweetie! PLEASE SHARE to help Sadie find her perfect person! 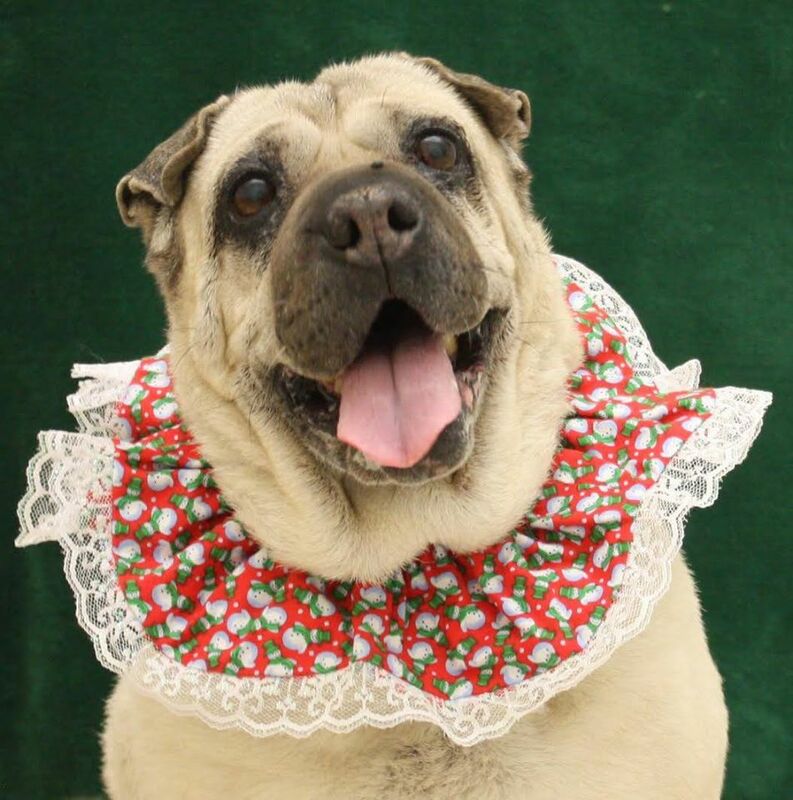 Sadie, a Pug/Chinese Shar-Pei mix, was owner surrendered because they were moving. Sadie’s former owner informed the shelter that Sadie has lived with children and is very tolerant of them. However, Sadie has never lived with other dogs or cats before. Sadie wrote: “This is Sadie. She’s a 10 year old Pug mix. Owner is surrendering because they had to move and they cannot keep the dog. Per previous owner: Has lived with children ages 10-12 and always friendly and tolerant. No issues seen. Per previous owner: Has never lived with cats, will chase them. Per previous owner: Has never lived with dogs. Prefers to be the only dog. Sadie’s adoption fee has been sponsored. Please consider giving Sadie a home life again. Her circumstances are out of her control and we know she’d be most grateful if someone gave her the chance at being a beloved pet again. A couch of her own would be nice, too! Awww,my friend just adopted a furry family member ,shes so happy with him ! The kids are crazy over him too,he fit right in ,I’d love at some point to do this myself. Hopefully this will help get her adopted. Ten is pretty old for a dog. Alot of people look for puppies.If I got a dog, when it freezes over, I’d choose an older one that’s already been trained. Omg, that sweet face! Sharing,Sadie deserves a warm, wonderful loving home!! She looks like such a sweet dog. Hope she finds her forever home soon.